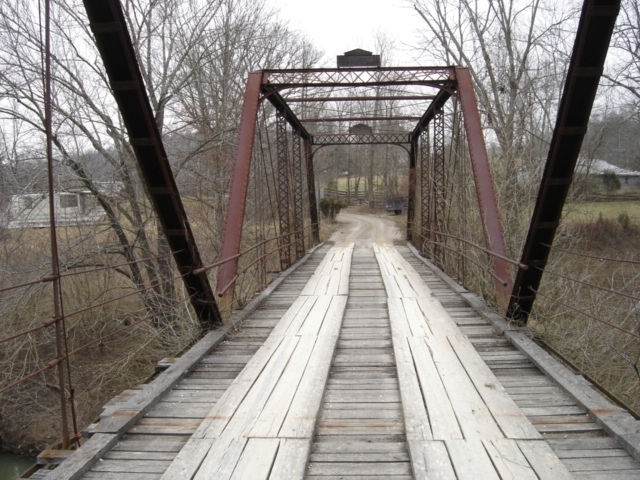 This is a two span bridge, both spans are through trusses. 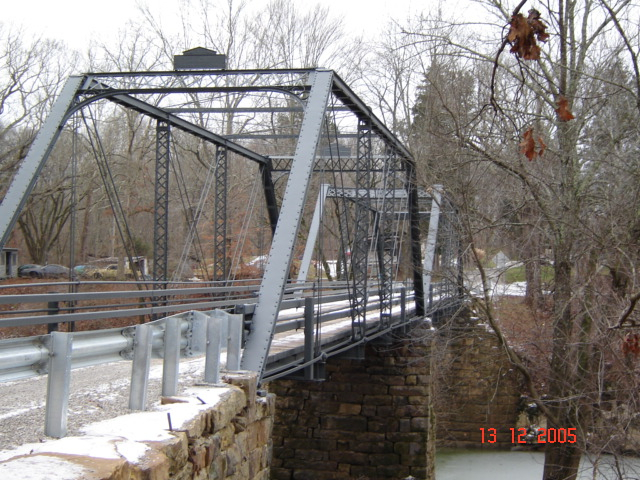 Originally it was a single span bridge with the second span being added several years later. 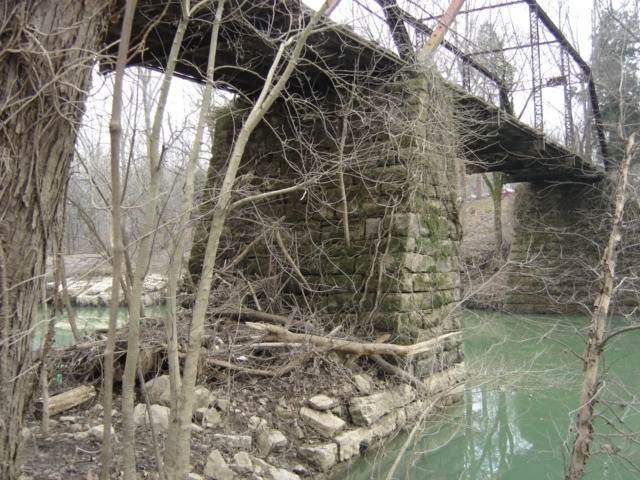 This bridge is near the Ohio River and past floods have raised the river level almost over the top of this bridge, most recent, was in 1997 when the water level was about half way up on the truss itself. 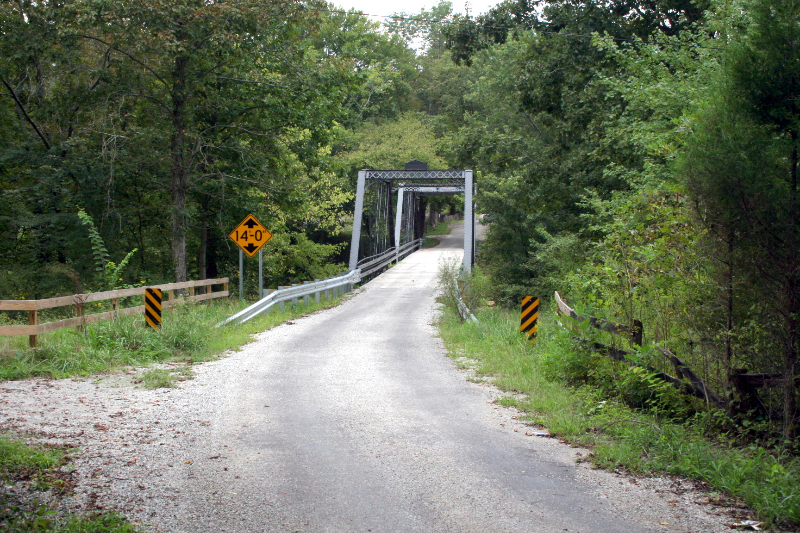 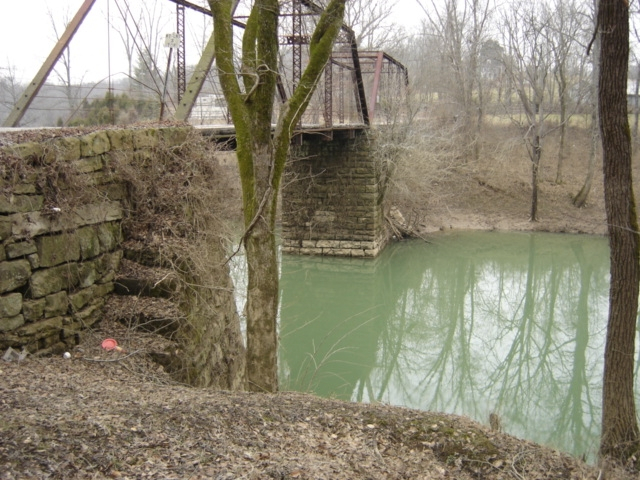 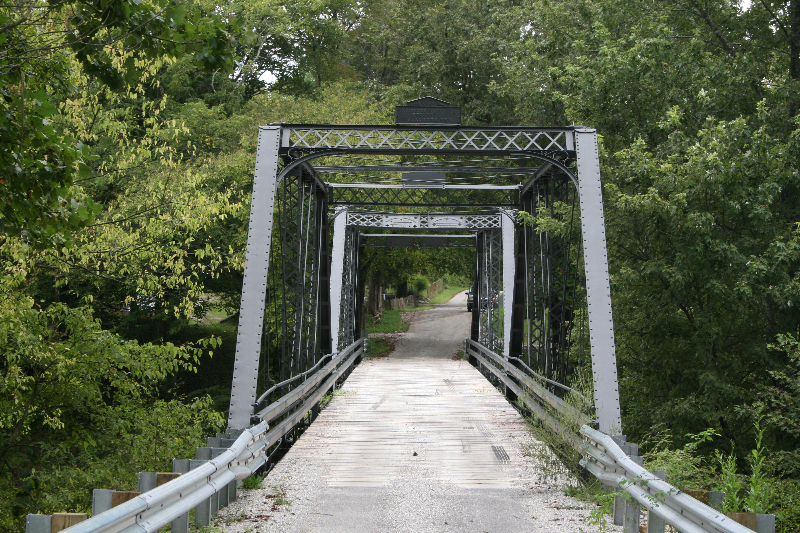 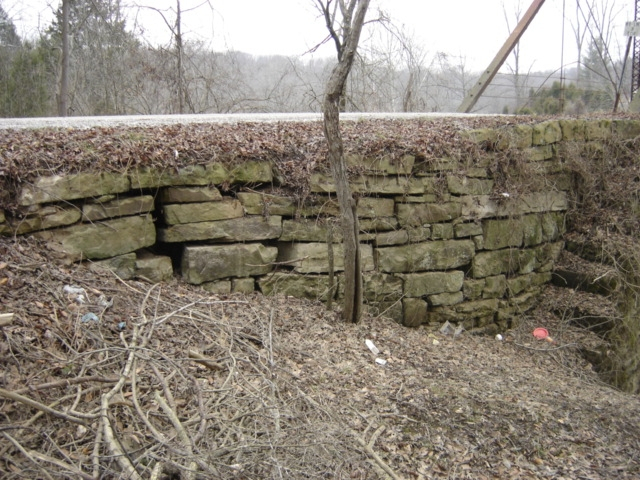 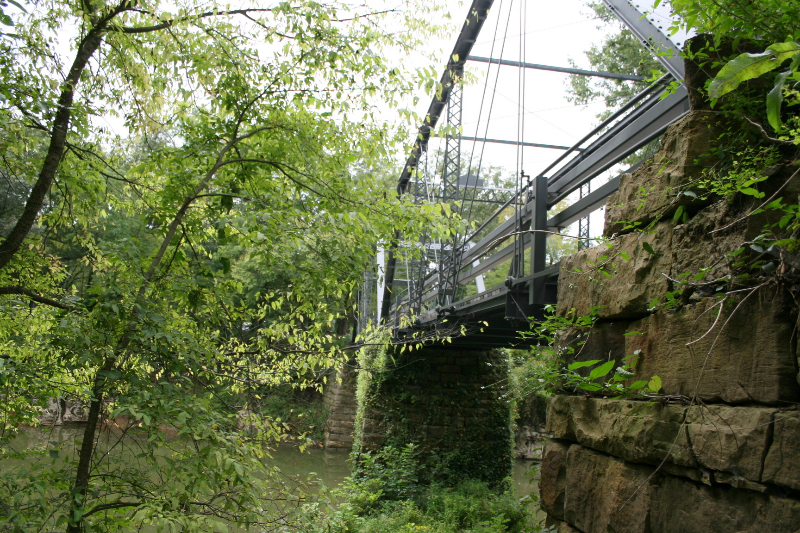 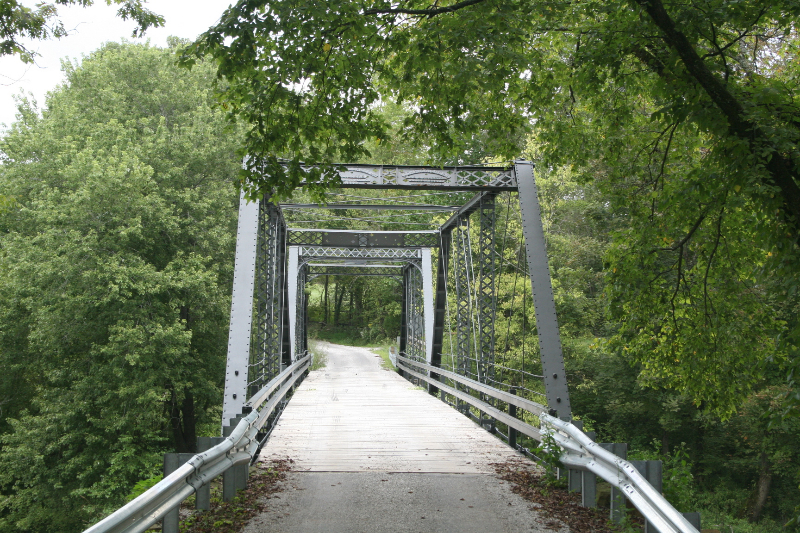 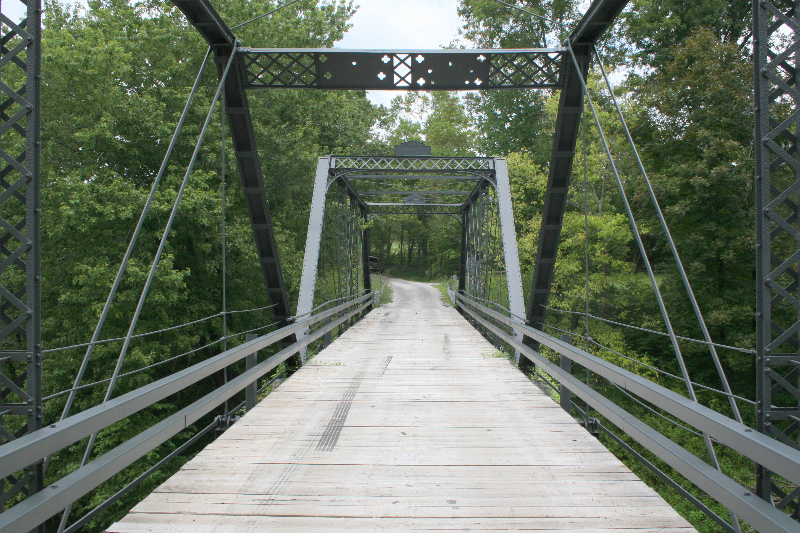 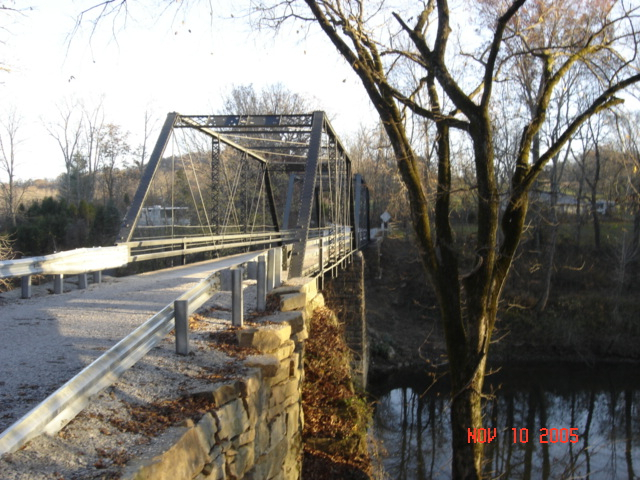 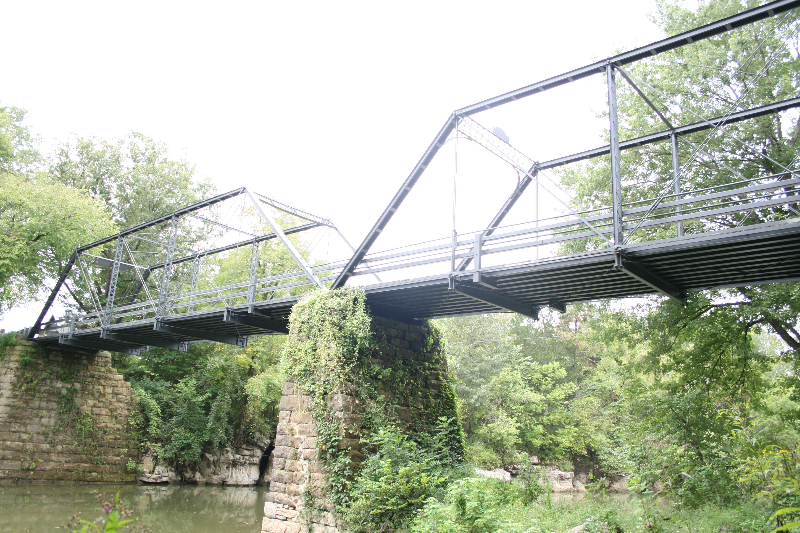 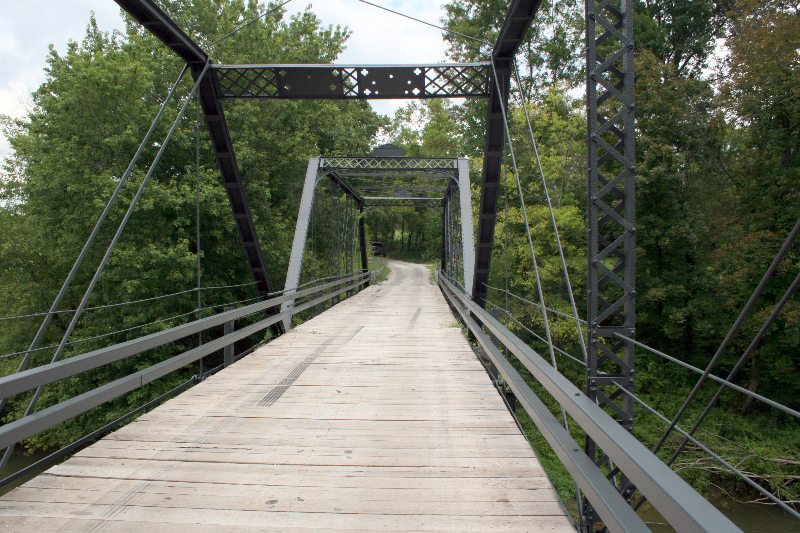 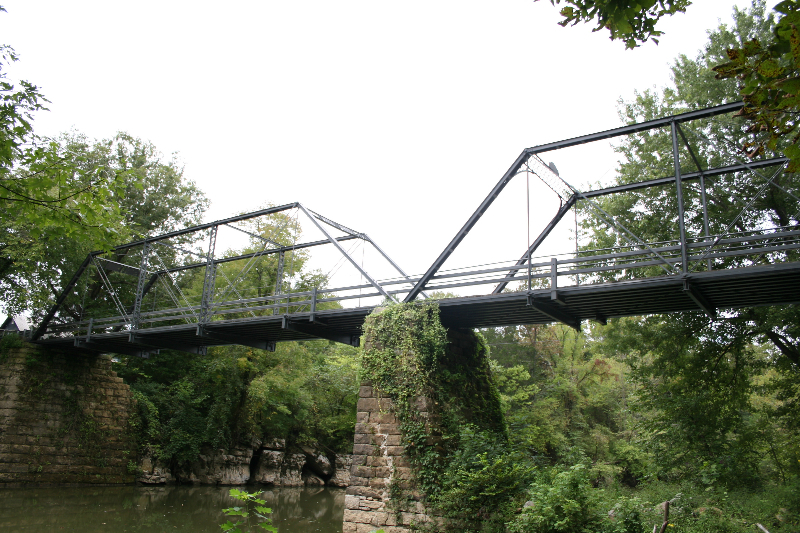 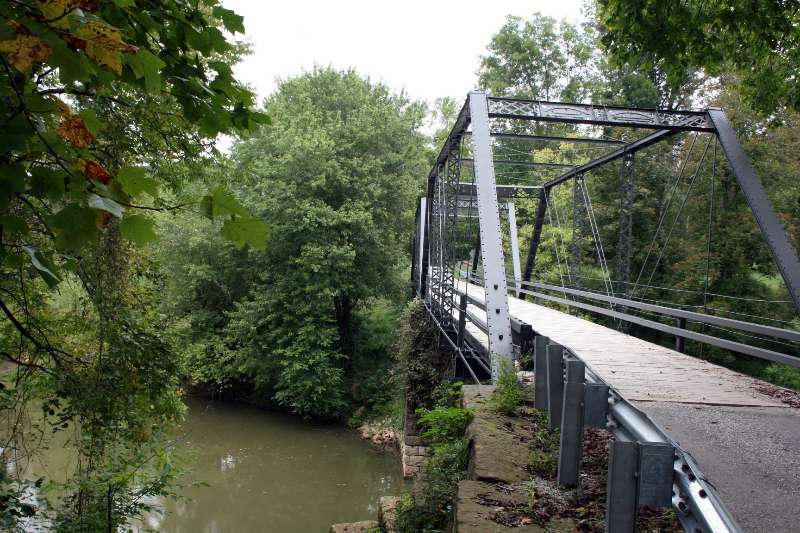 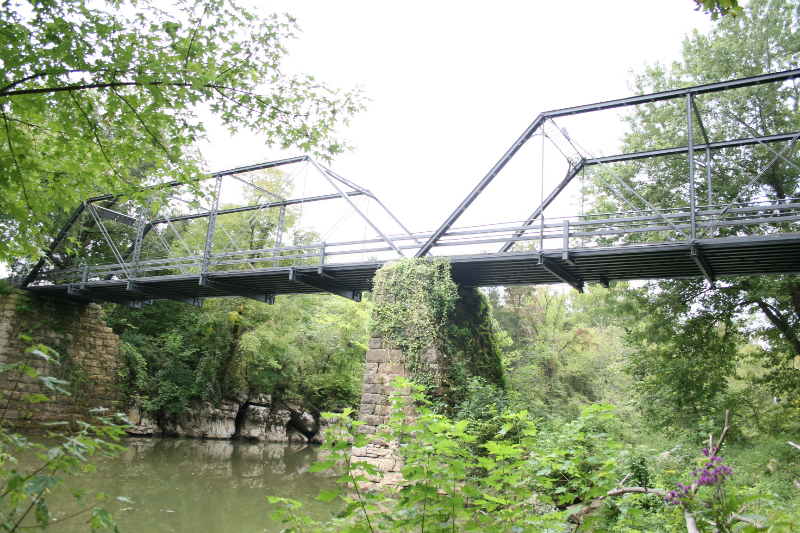 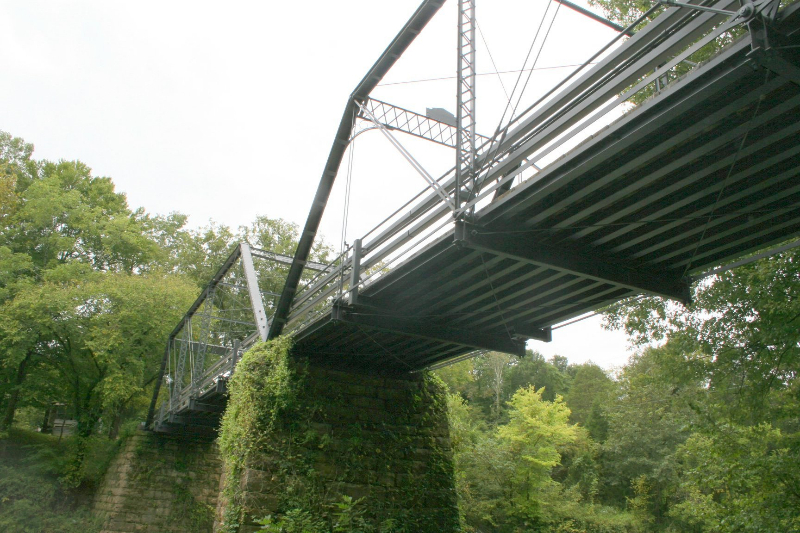 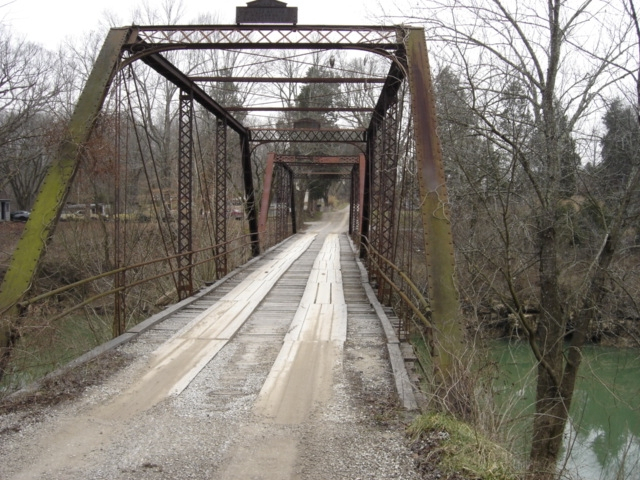 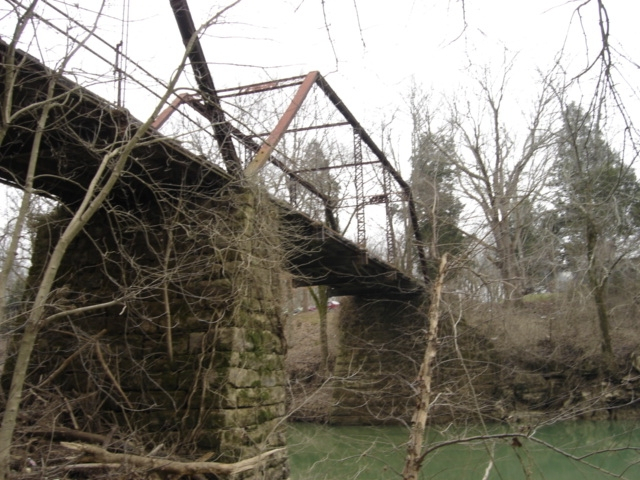 Below is a picture of the Archibald Falls Bridge before any reconstruction work had been done.